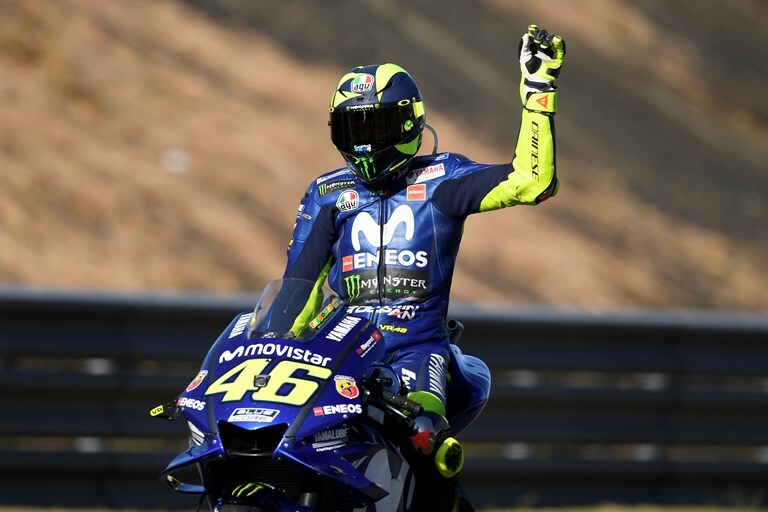 Following the Motul Grand Prix of Japan, the Movistar Yamaha MotoGP Team look forward to an action-packed race at the Michelin Australian Motorcycle Grand Prix round, where Valentino Rossi and Maverick Viñales aspire to feature at the front of the pack. Currently holding third place in the championship standings, Rossi looks forward to fighting for second by bridging the 9-point margin at one of his most successful circuits on the MotoGP calendar. The Doctor has secured numerous trophies at the Phillip Island venue and his experience will certainly come in handy during this weekend’s battle. In the premier class the nine-time World Champion has won at the Australian track from 2001 until 2005 and scored an additional victory in 2014, he claimed second place in 2008, 2009, 2016, 2017, and scored five third places in total, in 2000, 2006, 2007, 2010, and 2013. Viñales arrives at Phillip Island full of energy as it is also one of his favourite rounds. Currently in fourth position in the championship rankings, he aims to keep fighting to enter the top-3. The rider in second place is 39 points ahead of him, whilst teammate Rossi is in third place with a 30-point advantage over the youngster. The Spaniard’s excitement about coming to Australia is backed up by statistics. He stood on the podium there four times prior. He scored a Moto3 second place in 2013, secured a Moto2 win the year after, and stood on the premier class podium in 2016 and 2017, celebrating third places. Phillip Island hosted its first motorcycle race in 1931. In 1956 a permanently constructed circuit continued to host motorcycle Grand Prix events until it fell into disrepair during the late 70s and early 80s. After extensive renovation, the circuit made an intermediate comeback in 1989 and 1990, to become a regular fixture once more from 1997 onwards. Thanks to its terrific location, right next to the ocean, and its flowing 4.4km lay-out (featuring seven left and five right corners, and a 900m longest straight), the Phillip Island track is loved by fans and MotoGP riders alike. Just a few days after a very successful Motul Grand Prix of Japan, Johann Zarco and Hafizh Syahrin are on their way to Australia for the 17thround of the 2018 MotoGP World Championship season, which will see the green flags waving for FP1 at 11.55 local time (2.55 CET) on Friday. Following a strong race in Motegi, Monster Yamaha Tech3 star Zarco is more than eager to arrive at Phillip Island to repeat his amazing rookie performance from last year, fighting at the top of the premier class in order to bring home as many points as possible, challenging the independent riders’ championship. Meanwhile, MotoGP class rookie Syahrin arrives at the Island full motivated after his second top 10 finish of the year. With an amazing performance at the Japanese GP in his pocket, the Malaysian newcomer aims for a similar great result, before his much anticipated home round.